On average, a VC reviews 400-600 companies for ”A-round” investments per year, and selects 4-6 (1%) of them. Large angel investors review 100-200 companies for ”A-round” investments per year, and choose only 1-2 (1%) of them. Most startups are focused on their product and technology, which is normal in early stages. Those who have reached proof of concept stage start developing their go-to-market strategies and invest in sales and marketing channels; and yet the third pillar of the business triangle – finance – hasn’t received the attention it’s due. In many cases founders just fail to convey their business message properly, using technology language instead of business terminology. Unfortunately, they don’t get a second chance to make a first impression. “In A-round, you need to act like a company. You are expected to be professional in all aspects. It’s not a seed game anymore… we expect them to understand their company, not only form the product perspective but from the market and business one” (VC partner quote). That is why a Matoki Fundability assessment is so critical. Matoki’s 4-6 week fundability assessment process for A-round investment is a Structured & Proven process. It validates a company’s fundability from the investors’ perspective, provides funding readiness, and significantly increases odds of funding success. More than 40% of companies that went through this process, successfully raised funds. It starts with listening, brainstorming, and discussing very openly all the major business building blocks, going through SWOT analysis, verifying business goals, organization fit, internal and external challenges, while working together with the CEO and relevant executive management. Tough questions are asked. The Devil’s advocate role is played. Major assumptions are challenged. All in order to strengthen the story, to ensure the company is well prepared, and confirm that the company is indeed fundable. Since “money language” is totally different from the language of technology, Matoki guides the company and helps them develop an easily understood business story that resonates with executives and investors alike. In other words: telling the company story in the investors’ native language. This narrative is combined with a business model that Matoki prepares. It is a flexible, scenario driven, and self-explanatory business model. The model includes all relevant revenue streams & costs drivers, on a monthly, quarterly and annual basis. The model and narrative will cover funding structures. What are funding sources through time? Is equity a sole possibility? How about debt or hybrid structure? Is there “cheaper non-diluted” money we can use? Matoki will also explore exit possibilities. Here, our experience in both large and small M&As (from $1.0M to $6.7B) is profoundly beneficial. Matoki will guide construction of the investors’ presentation from content and flow perspectives, based on vast funding experience and knowledge about investors’ language and expectations. That also provides the framework for the company’s “one pager” structure. 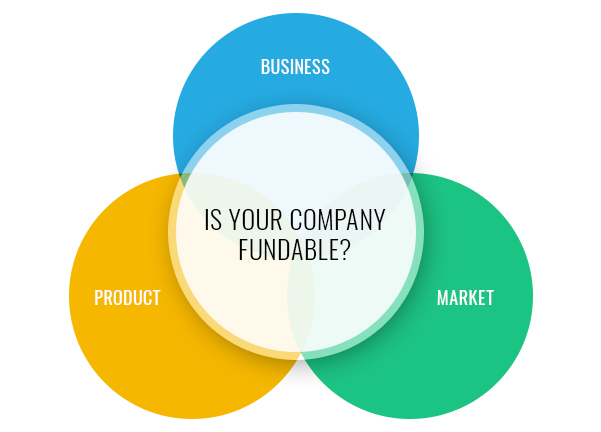 A fundable company has a confident story that combines product/technology, addressable market, and profit generation abilities. The deliverable will be an investors’ presentation that fits investors’ language and whose business model is in synch with the company’s vision and mission. At the end of the process, the company is ready: mature company with professional-passionate team, and qualified for A-round investment. It’s ready for the big show!